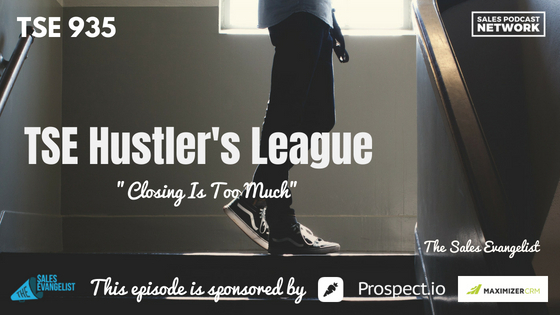 TSE 935: TSE Hustler's League-"Closing Is Too Much"
If you’ve been following the show for a while, you know that The Sales Evangelist Hustler’s League is an online group coaching program designed to help sales professionals of all levels. 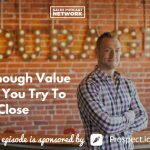 Today we’re discussing the occasional mindset that tells us that closing is too much. On today’s episode of TSE Hustler’s League, I’m going to share some of my training with you from David Hoffeld’s book, The Science of Selling: Proven Strategies to Make Your Pitch, Influence Decisions, and Close the Deal. I’m going to address the idea that closing is too much. Sometimes as sales professionals we get the idea that closing is a big obstacle that we simply can’t overcome. We fail to understand that closing is easy if you follow basic principles. In the opening of the show, I talked about a salesman who asked for permission to put a billboard in someone’s front yard. This story was the basis of research that David reported in his book. In 1966, the Journal of Personality and Social Psychology reported that researchers visited neighborhoods asking residents if they could place a large billboard in their yard that encouraged people to drive carefully. The billboard obstructed the house, and only 17 percent of the participants agreed to the sign. Then researchers visited a separate neighborhood and asked the same question, but this time they got 76 percent participation. In the second neighborhood, researchers had previously visited each of the houses asking for permission to place a small 3-inch sign with the same message in the front window of the home. Those neighbors who agreed to the smaller sign were more likely to agree to the larger sign later. Sometimes we do to our prospects what the first salesman did in this story. We talk to them about their challenges and their pain and then we ask them to purchase a $10,000 software program. We’ll be discussing the sales process in November, but for now, is there a way you can break your larger commitments into smaller ones to make it easier for your prospect to engage? You must have some kind of commitment in mind at the end of every call. When I did do0r-t0-door security system sales, we started by asking people if we could put one of our small signs in their yard. Most people agreed because it was an easy way to deter burglaries. Beyond that, we would continue our conversation about security systems and discuss what they liked about their existing system. Then, we would ask if we could see their existing system, and we would share value with them about security systems. We ended up sitting at a table with them discussing security and the challenges they face. Very often, we were able to convince them to install one of our systems or to switch to our company. We succeeded because of incremental commitments. Figure out a way to get your prospect to say yes to something. Maybe it’s an initial meeting. Then it’s a demonstration. Then it’s to get their colleagues involved. Commitments at each stage of the process make a huge difference. If you end a phone call with a prospect by simply saying, “Talk to you soon,” you haven’t given your prospect any homework. You’re going to have a tougher time closing deals because you aren’t offering incremental commitments. Are you providing incremental commitments along the way to your prospects? Are you giving homework or giving them opportunities to say yes to little things that will lead to bigger things? If the brain is accustomed to saying yes, it will more likely continue to say yes along the way. I want to help you improve your sales process so you can increase your close rate. 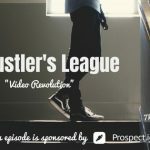 If you and your team need help, check out the TSE Hustler’s League. Don’t let your CRM be unruly Click on the link to get a free demo of what Maximizer CRM can do for you. It integrates your marketing campaign as well as your CRM. I mention software that we use likeprospect.io and likeMaximizer CRM because I know they work and I want to help you.